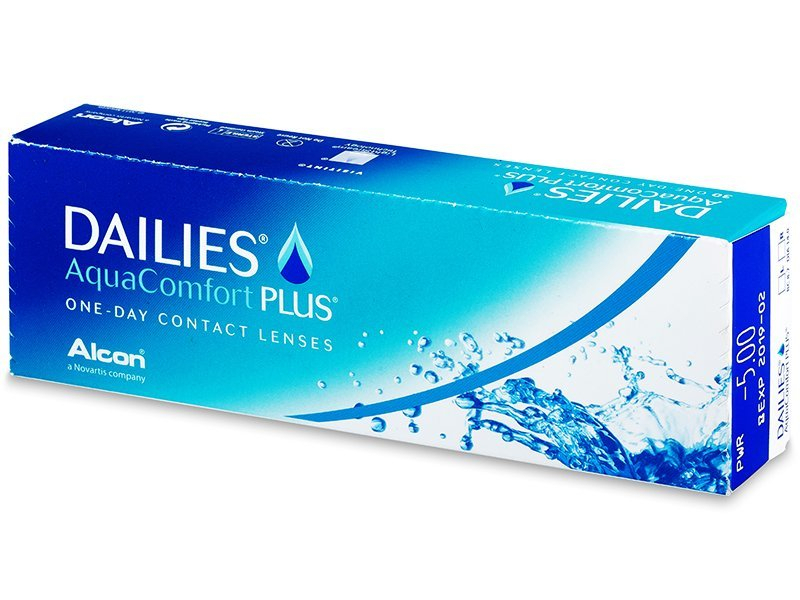 Dailies AquaComfort Plus are daily disposable contacts in a pack of 30 lenses. Solution with HPMC lubricant One of the moisturising components, known as HPMC, is present in the solution that surrounds the lens in its blister pack. Because of this, the lenses should be sufficiently moisturised and comfortable from the very first application. The other moisturisers, known as hydrophilic PEG (Polyethylene glycol) and PVA (Polyvinyl alcohol), are embedded in the lens material. 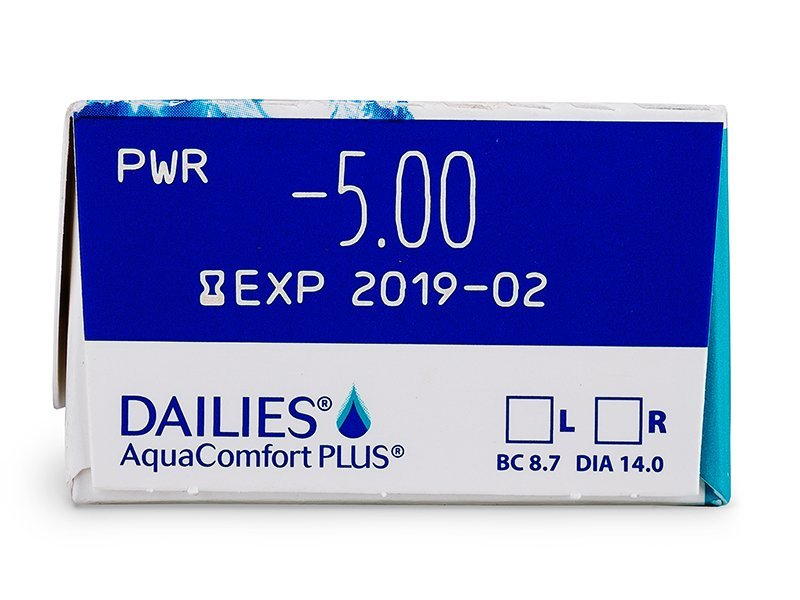 The PVA is released from the lens all day with each blink.Important for you to know: when switching from Focus Dailies All Day Comfort to Dailies AquaComfort Plus there is no need for a new prescription. Dailies AquaComfort Plus are daily disposable contact lenses from Alcon. Compared to their predecessor, Focus Dailies All Day Comfort, they are characterised by a higher level of moisture for more comfortable wear. This package contains 30 lenses. You can also buy our larger package of Dailies AquaComfort Plus 90 lenses. One of the moisturising components, known as HPMC, is present in the solution that surrounds the lens in its blister pack. Because of this, the lenses should be sufficiently moisturised and comfortable from the very first application. The other moisturisers, known as hydrophilic PEG (Polyethylene glycol) and PVA (Polyvinyl alcohol), are embedded in the lens material. The PVA is released from the lens all day with each blink. According to the manufacturer, Alcon, 95% of users reported no problems changing from Focus Dailies All Day Comfort to Dailies AquaComfort Plus. This change can be made without visiting a specialist. 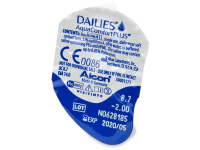 Been wearing lenses from Alcon for years and have been wearing these since they came out. As always, never had any problems. 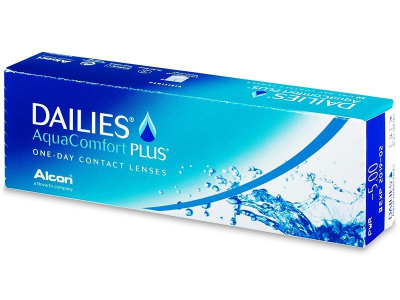 Really reliable daily lenses. Couple of times they get a bit dry towards the end of the day but for the most part these are good lenses that feel comfortable for most of the day. Easy to wear, feel really light on my eyes. Had some issues with other contacts but so far I’m pretty happy with these. Good afternoon, I am looking for some information about Dailies Aquacomfort vs Acuvue Moist and which might be better for me. I work outside, so my eyes can get quite dry. Any advice? 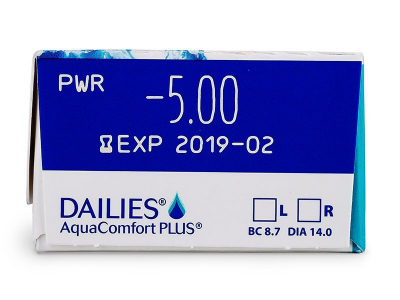 Good afternoon, do you sell Dailies aquacomfort plus 90 pack of lenses? Cheers. I'm looking for dailies aquacomfort plus alternative. Is it possible you offer something with a higher water content? What is the deal with the dailies aquacomfort plus base curve? Is it not possible to change it? I have BC 8.5. 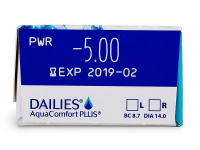 Hi Pete, the Dailies Aquacomfort Plus BC is a standard measurement and cannot be changed. Generally if your BC differs from the standard measurement by 0.1 or 0.2mm, there will be no noticeable difference for you. Fantastic daily lenses. I hardly even remember that I'm wearing them. Since making the switch to dailies, I've saved a fortune on solutions, and traveling is so much easier. Wonderful ordering process. My lenses were instock and on my doorstep in 2 days.